Recently, I gave IELTS General Exam 2 times and all the time I had trouble with IELTS reading test. But my Reading test is getting worse in each exam. First time, I scored 5.5 in reading and the last time, I scored 5. Below are the issues that I have faced during my last 2 exams. 1. Ran out of time. 2. Not able to understand the whole passage. 3. Not able to answer TRUE, FALSE and NOT GIVEN question. Please suggest me some tricks and techniques for scoring well in Reading test. Appreciate, if someone could suggest me the website for improving my reading skills and speed. 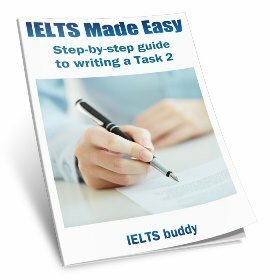 ieltsliz.com is one of the best IELTS websites that I can suggest to those who are struggling in the General Training True,False,Not Given questions. 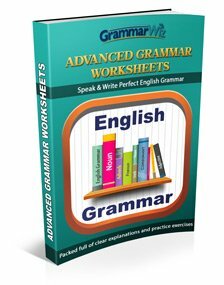 I want to say a big "thank you" to the man who put this teaching resource together. 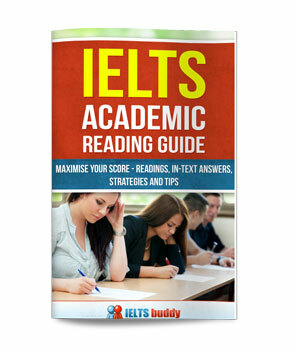 It is an invaluable tool for anyone preparing for IELTS or any exam requiring essay writing. I took my first exam in 2013 october and had 7.5 in writing, 7.0 in speaking, 6.0 in reading and 5.5 in listening with an overall band score of 6.5. However, i took the exam again in May last year, because i needed a higher score.I then had 7 in writing, 7 in reading, 7 in listening and 6.5 in speaking with an overall score of 7. IELTS buddy was my study guide all through that period. Thank you IELTS buddy. More power to your elbow! So, i guess I am in a position to offer few tips here for Reading. First, try to limit your time to 45 minutes during practice. Easier said than done but will help you a great deal during exam. You would be able to review your answers and could add a 1 band in your final score. Second, before you start reading the passage, jump to the questions and check what kind of information you are searching. Is it some date or Name or Place. Then start skimming the passage. In this way, you would be able to underline important information. 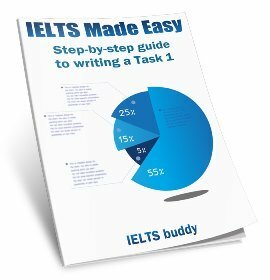 Third and Last, follow www.IELTSLIZ.com for TFNG kind of questions. She is giving real good tips and have great excercises for practice. everyday you are most welcome! I took ielts four times and every time I also got 5.5 in reading module. but in the 5th attempt I scored 6.5 in reading. if you want to score well in reading you need to practice more and more sample tests. In reading module we can score 9 out of 9. which can be possible only by practicing more and more. Kindly suggest practice test books for GT reading ielts because I am unable to score in reading.I got 5.5 and need 7 . I am stressing too much and i require 7 each band. I am intending to appear for exam in 6-8 weeks. Can someone please recommend me some tips to improve my score? Especially, I run out of time in reading and in writing I don't have strong vocabulary as well lacking of complex sentence.